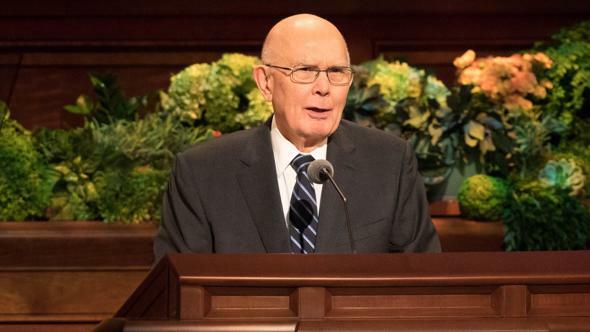 To return to God’s presence and to receive the eternal blessings that come from making and keeping covenants are the most important goals we can set. My brothers and sisters, it is now my assignment to speak to you, and your assignment is to listen. My goal is to finish my assignment before you finish yours. I will do my best. Over the years, I have observed that those who accomplish the most in this world are those with a vision for their lives, with goals to keep them focused on their vision and tactical plans for how to achieve them. Knowing where you are going and how you expect to get there can bring meaning, purpose, and accomplishment to life. Some have difficulty differentiating between a goal and a plan until they learn that a goal is a destination or an end, while a plan is the route by which you get there. For example, we can have a goal to drive to a certain unfamiliar location, and as some of you dear sisters know, we men often think we know how to get there—often resulting in our saying, “I know it must be just around the next corner.” My wife must be smiling. The goal was clear, but there wasn’t a good plan in place to reach the destination. Goal setting is essentially beginning with the end in mind. And planning is devising a way to get to that end. A key to happiness lies in understanding what destinations truly matter—and then spending our time, effort, and attention on the things that constitute a sure way to arrive there. God, our Heavenly Father, has given us the perfect example of goal setting and planning. His goal is “to bring to pass the immortality and eternal life of man [and woman],”1 and His means to achieve it is the plan of salvation. Our beloved Heavenly Father’s plan includes giving us a growing, stretching, learning, physical mortality through which we can become more like Him. 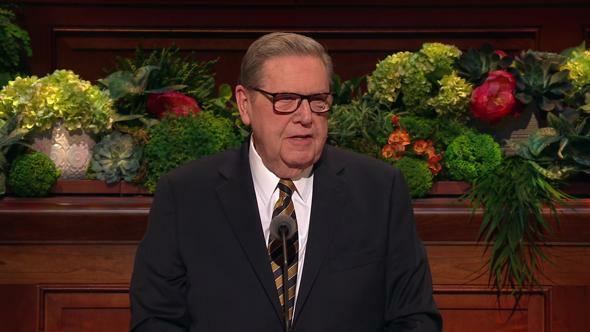 Clothing our eternal spirits in physical bodies; living by the teachings and commandments of His Son, the Lord Jesus Christ; and forming eternal families allows us, through the Savior’s Atonement, to fulfill God’s goal of immortality and eternal life for His children with Him in His celestial kingdom. Wise goal setting includes the understanding that short-term goals are only effective if they lead to clearly understood longer-term goals. I believe that one important key to happiness is to learn how to set our own goals and establish our own plans within the framework of our Heavenly Father’s eternal plan. If we focus on this eternal path, we will inevitably qualify to return to His presence. Experts on goal setting tell us that the simpler and more straightforward a goal is, the more power it will have. When we can reduce a goal to one clear image or one or two powerful and symbolic words, that goal can then become part of us and guide virtually everything we think and do. I believe that there are two words that, in this context, symbolize God’s goals for us and our most important goals for ourselves. The words are return and receive. 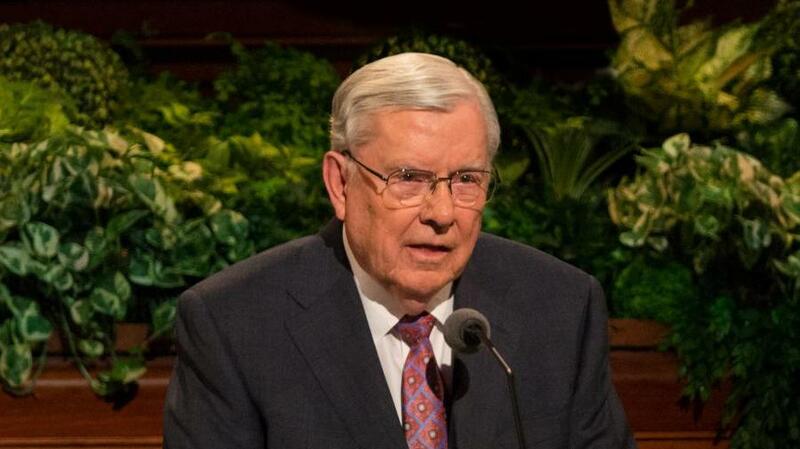 These voices belong to those who disregard gospel truth and who use the internet, social and print media, radio, television, and movies to present in an enticing way immorality, violence, ugly language, filth, and sleaze in a way that distracts us from our goals and the plans we have for eternity. It’s kind of like having a personal, private interview with yourself. And if that sounds unusual, think about it: who in this world knows you better than you know yourself? You know your thoughts, your private actions, your desires, and your dreams, goals, and plans. And you know better than anyone how you are progressing along the road to returning and receiving. As a guide for me during this private, personal review, I like to read and ponder the introspective words found in the fifth chapter of Alma, wherein Alma asks: “Have ye spiritually been born of God? 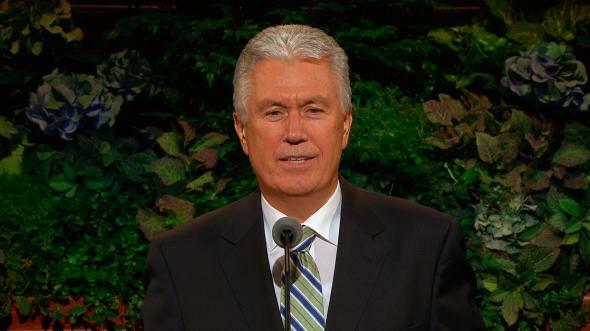 Have ye received his image in your countenances? 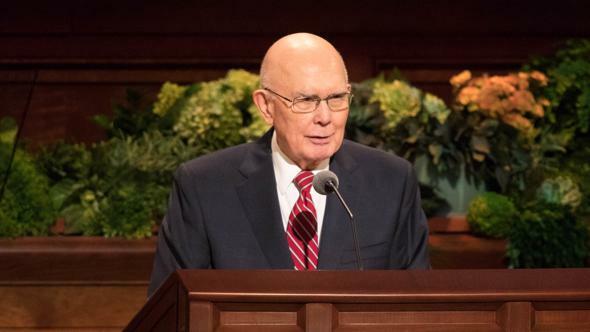 Have ye experienced this mighty change in your hearts?”8 Alma’s questions are a reminder of what our goals and plans ought to include in order to return and receive. 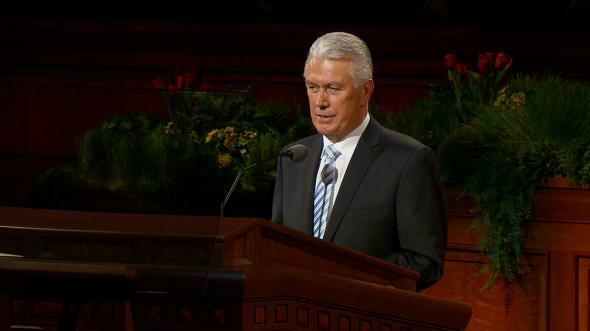 Remember the Savior’s invitation to “come unto me, all ye that labour and are heavy laden, and I will give you rest. 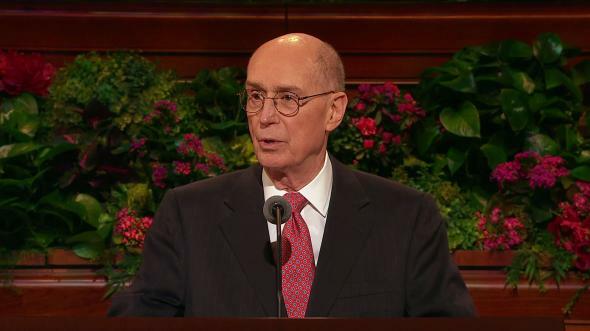 We must keep the doctrine and gospel of Jesus Christ at the center of our goals and plans. Without Him, no eternal goal is possible, and our plans to achieve our eternal goals will surely fail. One additional help is “The Living Christ: The Testimony of the Apostles,”12 which was presented to the Church on January 1, 2000. 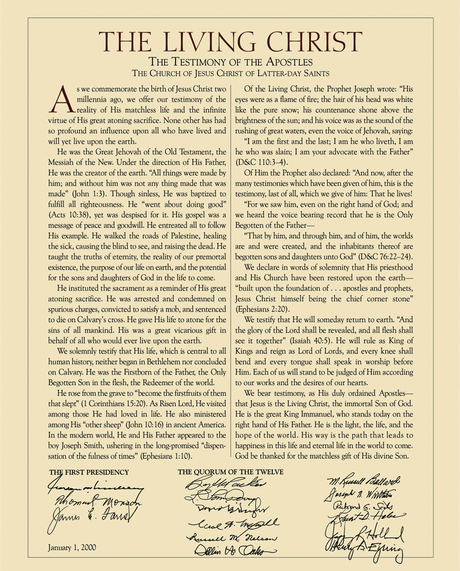 Place a copy where you can see it, and take time to review each of the statements found in this inspired testimony of Christ by His special witnesses who signed it. This can happen only because the living Christ is the atoning Savior and Redeemer of the world. Prayerfully reading “The Living Christ” is like reading the testimonies of Matthew, Mark, Luke, John, and the prophets of the Book of Mormon. It will increase your faith in the Savior and help you stay focused on Him as you follow your plans to reach your eternal goals. 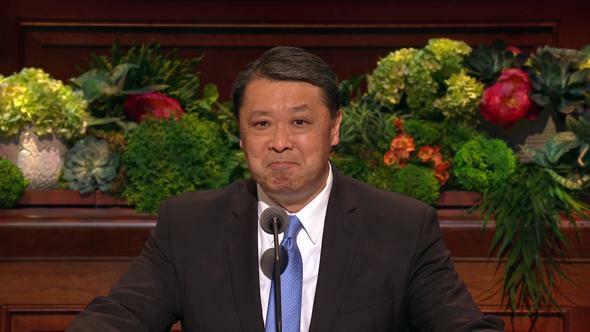 I testify there is no greater goal in mortality than to live eternally with our Heavenly Parents and our beloved Savior, the Lord Jesus Christ. But it is more than just our goal—it is also Their goal. They have a perfect love for us, more powerful than we can even begin to comprehend. They are totally, completely, eternally aligned with us. We are Their work. Our glory is Their glory. More than anything else, They want us to come home—to return and receive eternal happiness in Their presence. My dear brothers and sisters, in one week, we will celebrate Palm Sunday—commemorating Christ’s triumphal entry into Jerusalem. In two weeks, we will celebrate Easter Sunday—commemorating the Savior’s triumph over death. 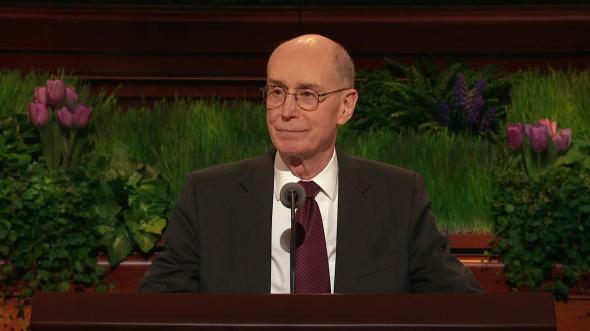 As we focus our attention on the Savior during these two special Sundays, let us remember Him and renew our lifelong commitment to keeping His commandments. Let us look deeply into our own lives, setting our own goals and focusing our plans to align with God’s in a way that will ultimately lead us toward our precious privilege to return and receive—which is my humble prayer in the name of Jesus Christ, amen. 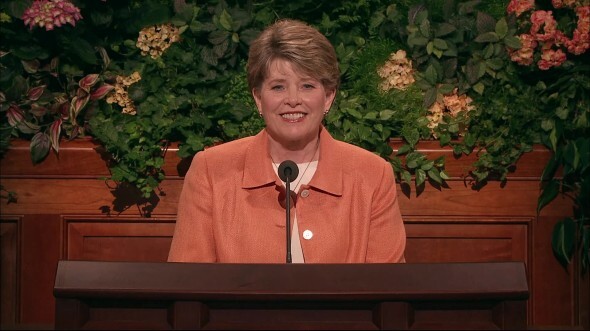 See “Becoming Like God,” Gospel Topics, topics.lds.org. 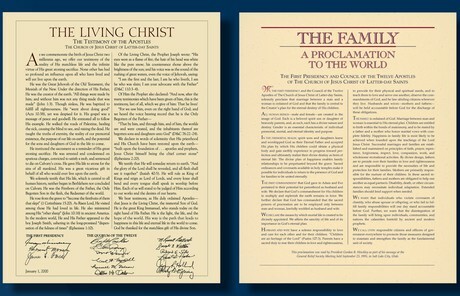 See Doctrine and Covenants 62; 70.